The Denver Day of Rock is put together by the Concerts For Kids foundation – raising awareness of the children of our community. 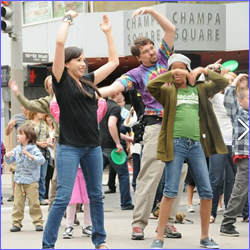 Four great stages of music and fun will be operating throughout downtown Denver – come on down and enjoy great childrens and family entertainment for FREE. Tags: 16th Street Mall, 16th Street Mall Denver, Amp The Cause, AmpTheCause, ampthecause.org, Childrens Events in Downtown Denver, Colorado Memorial Day Events, Concert for Kids, Concert for Kids Denver, Concerts for Kids, Concerts for Kids Denver, Concerts for Kids Group, Concerts for Kids Non-Profit, Denver CO Concert for Kids Group, Denver Day of Rock, Denver Kids Events, Denver Kids Events Memorial Day, Downtown Denver Events, Downtown Denver Kids Events, Family Activities Downtown Denver, Family Events in Colorado Memorial Day, Kids Events in Denver in May, May Concert for Kids, Memorial Day Events in Denver, Memorial Day Family Events in Denver, What to do in Downtown Denver? 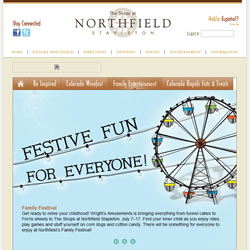 In addition to hundreds of food vendors and merchant booths, music, and entertainment, the Boulder Creek Festival features an interactive “kids’ place.” Kids will be delighted with the Rubber Duck Race, carnival, bounce house, face painting, entertainment stage with music and dancers and much more! Tags: Boulder area Kids Activities, Boulder Childrens Events, Boulder CO Kids Activities, Boulder CO Kids Guide, Boulder Colorado Kids Events, Boulder County Festival, Boulder Creek Festival, Boulder Events, Boulder face painting, Boulder family event, Boulder Fest, Boulder Festival for Families, Boulder Festivals, Boulder Festivals CO, Boulder Kids, Boulder Kids Event, Boulder Kids Events, BoulderKids, Colorado Spring Festival, Family Festival Boulder, Family Festival Boulder CO, Festivals in Boulder CO, Festivals in Boulder Colorado, Festivals in Spring in CO, Find a Kids Event in Boulder, Find a Kids Event in Boulder CO, Fun Family Activities in Boulder CO, Fun things to do in Boulder, Kids Activities Boulder CO, Kids Events CO, Kids Festival Boulder, Kids Festivals CO, Kids Things to do in Boulder, May Fest Boulder, Things to do in Boulder Colorado, Where to park for a festival in Boulder CO? 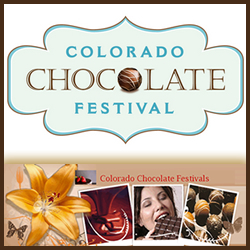 The Colorado Chocolate Festival celebrates all things chocolate! Held each May the weekend before mother’s day, the festival is a tasty gathering of over 100 booths of vendors of all kinds of sweet treats and more. Entry to the festival is free, with tastings each for a small fee. Dads – this is a great place to take the kids and pick out a wonderful delectible surprise for Moms, Aunts, Sisters, & Grandmas! 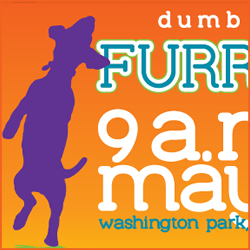 Make your way to the annual Furry Scurry at Washington Park in Denver Colorado May 4th and help support the Denver Dumb Friends League. Register today and begin to collect your pledges to support homeless pets and adoptions. Prizes are awarded for Furry Scurry pledge collection – this is a wonderful event to help educate children about the importance of helping our furry friends. 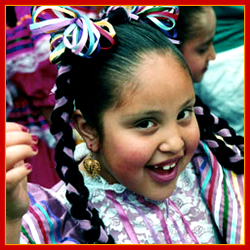 Come and help celebrate the 25th Cinco de Mayo festival in Denver Colorado at Civic Center Park Saturday May 4th starting at 10AM and running through Sunday May 5th. 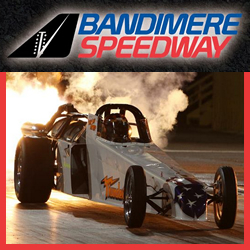 Along with cultural performances including music and dancing performances, there will be great vendors and food, a huge parade, corporate businesses and small novelty vendors offering a wide variety of products. Don’t forget about the Annual Green Chili Bowl Cook-Off! Tags: Childrens Events Downtown Denver, Cinco de Mayo, Cinco de Mayo Colorado, Cinco De Mayo Denver, Cinco de Mayo Downtown Denver, Cinco de Mayo Festival, Downtown Denver CO, Downtown Denver Kids Events, Kids Events Cinco de Mayo, Kids Events in Colorado in May, May 5th Festival Colorado, Things to do with Kids in Downtown Denver, Where is Cinco de Mayo? 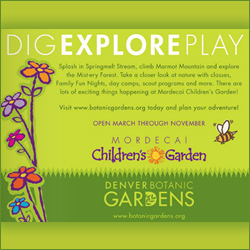 The Denver Botanic Gardens Mordecai Children’s Garden is the perfect place to plan your garden family fun learning adventure. Open from March through November, the garden is a wonderful place for children to explore and play, all while discovering plants and aquatic wonders – no two trips to the garden are the same! Features of the garden include: the living Rooftop Alpine Garden, the Marmot Mountain, Springmelt Stream, Glorious Grasslands, Pipsqueak Pond, and the Sagebrush Stage. 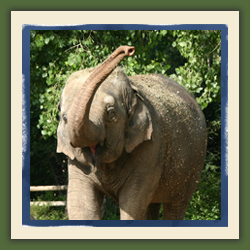 The much anticipated Toyota Elephant Passage – known as Asian Tropics previously, has opened at the Denver Zoo. This over 10 acre redevelopment on the south portion of the Denver Zoo resembles an Asian village – surrounded by thematic habitats for elephants, rhinos, tapirs, gibbons, leopards, otters, and more! Don’t miss the chance to visit this new portion of the Denver Zoo – get your tickets or family zoo passes today! Tags: Asian Tropics, Denver Zoo Asian Tropics, Denver Zoo Asian Tropics Grand Opening, Denver Zoo Asian Tropics Opening, Denver Zoo Asian Tropics Tickets, Denver Zoo Events, Denver Zoo Grand Opening Date, Denver Zoo Tickets, Denver Zoo Toyota Elephant Passage, Denver Zoo Toyota Elephant Passage Grand Opening, Family Activities in Denver Colorado, Family Pass Prices Denver Zoo, Family Pass to the Denver Zoo, Grand Opening Denver Zoo, Kids Events in Denver CO, New exhibit at the Denver Zoo, New features at the Denver Zoo, New part of Denver Zoo, Pass to Denver Zoo, Purchase Denver Zoo Family Pass, Things to do in Denver Colorado with Kids, Toyota Elephant Passage, When is Asian Tropics Opening?, When is the new Denver Zoo Opening?, When is the new Exhibit at the Denver Zoo opening? 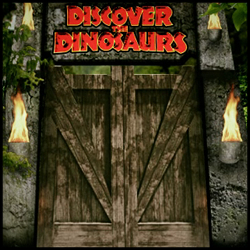 Discover the Dinosaurs is your child’s connection to everything Dino! This huge exhibit event includes fun activities such as the dino dig, dino theater, dino den and more, dino coloring, scavenger hunt, triceratops and t-rex rides, dino inflatables, gem and fossil panning, dino mini golf, fino face painting and more!